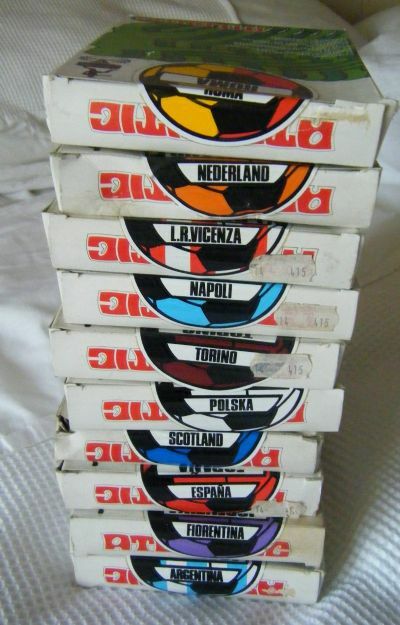 An Italian game that provided a great variety of teams to buy and play with. 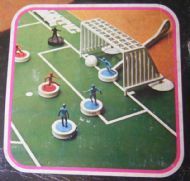 Atlantic are well known military figure manufacturers and this game is very similar (although much simpler) than Subbuteo. 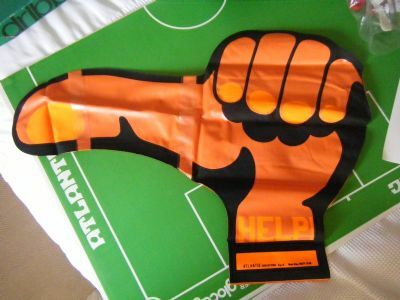 It also came with a big orange inflatable hand! An absolutely huge box with great photos of the game. 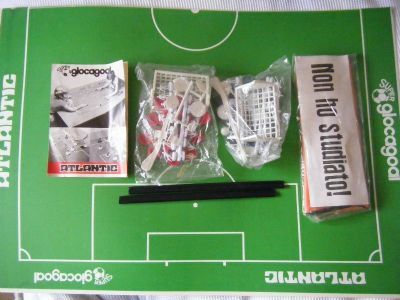 The box is so large because the pitch is made from two pieces of very large laminated cardboard. 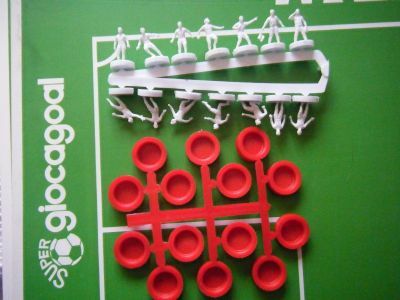 The game is extremely similar to Subbuteo but lacks the swerving curved bases. 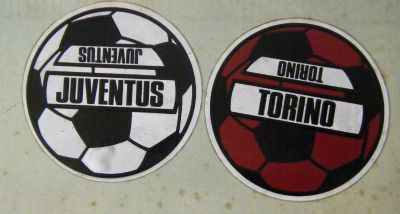 This set is the Turin derby between Juve and Torino. 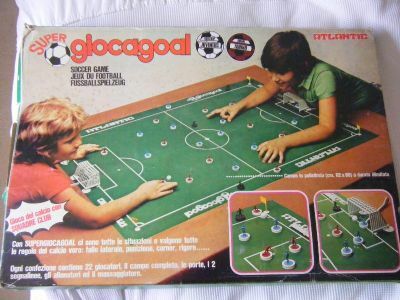 The game contains an enormous card pitch, two teams, ref and linesmen, flags, balls, goals and keeper rods plus a huge inflatable orange hand!!!!!! 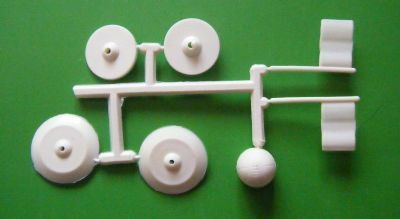 All the items are plastic moulded. All the teams come in contrasting base and figure colours to match the club colours. 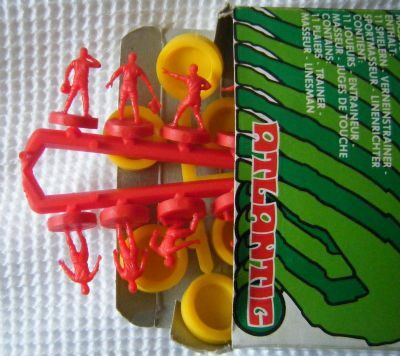 The figures are unpainted. 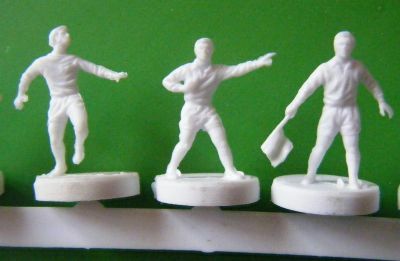 The player figures are a little larger than 1/72 scale and are finely detailed. 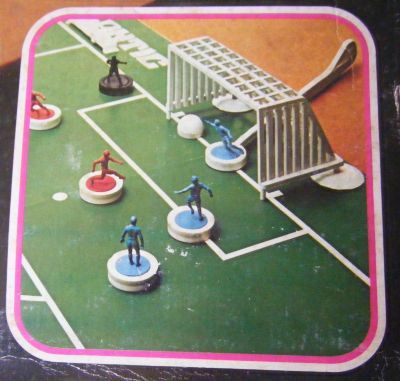 I have absolutely no idea why the game contains a huge inflatable orange hand. It comes with signs to attach to the thumb based on being a hitchhiker. 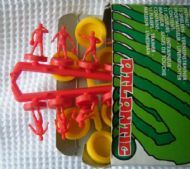 It is branded Atlantic and is an original component of the set. Answers by email please. 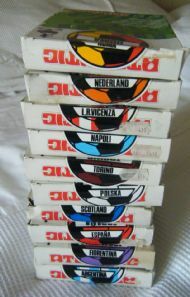 Atlantic offered a huge range of extra teams to buy both national and international. Again all additional teams are moulded in the right colours for that team - this one is Roma.